Welcome to Cambodia , we have here more than 50 Cambodia, Laos and Vietnam tour packages to Multi-destinations and many short city packages to single destinations like Siemreap Angkor Wat, Phnompenh, Shihanoukville ,Mekong Delta and much more. We have also prepared Day tours and A la Carte Travel services designed for business travelers. No matter who you are, whether an Independent traveler, a couple, family or a group, just select the tour that suits you! Travel independently or join with another group, it's your choice. 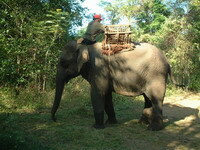 Copyright © 2006 -2012 Asia-PacificTravel.Com All rights reserved.